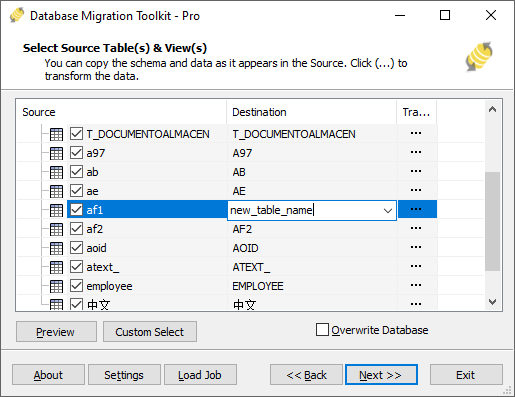 This article will show you how to use a simple database migration wizard to quickly migrate data from Foxpro to Oracle! Save you tons of complicated work and time! Click "..." to browse the Visual Foxpro(*.dbf) file(.dbc) or select the folder which the Foxpro/dBase free tables locating. Click "Next" to goto the next step. Input the server name (default: localhost) and port (default: 1521). Input the username (default is "system") and its password. Select the logon method (SID, Service_Name or TNS). 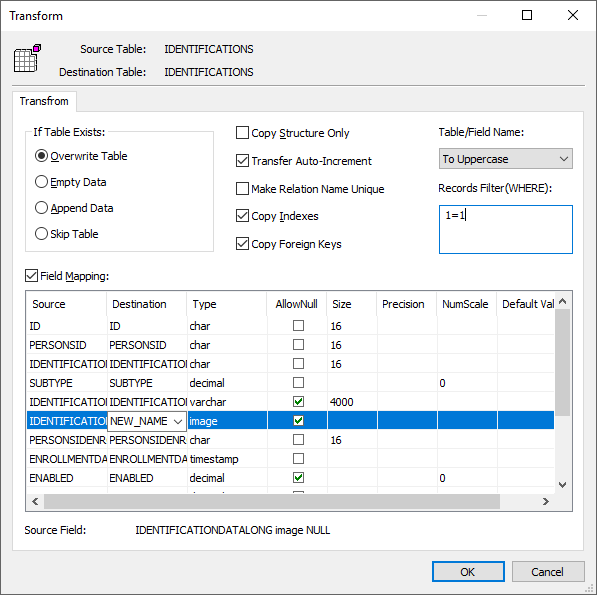 Input the source Oracle SID or Service_Name in "Database" box or let it empty if using TNS method. Input the schema name or let it empty (default is same as username, you can press "Refresh" button to list all schemas). 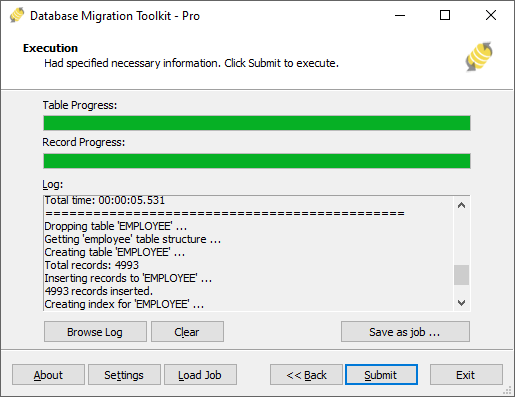 Click "Submit" to begin the migration, this toolkit will help you quickly migrate data from Foxpro(*.dbf) to Oracle without intervention.